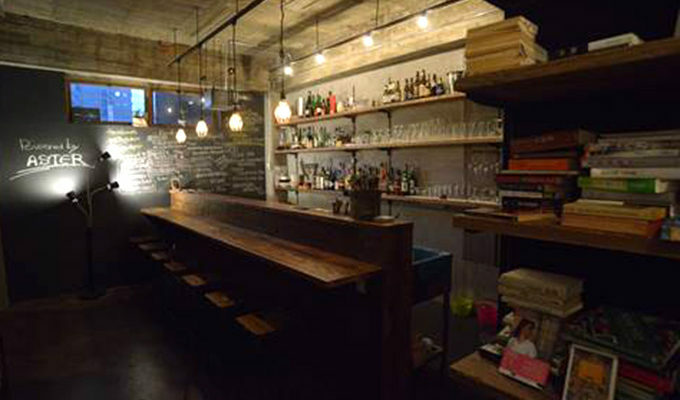 A casual bar featuring excellent American, Belgian, and Japanese craft beers, good music, interesting books, and tasty food. We also have a selection of interesting whisk(e)ys and spirits. A variety of lunch is also available! Macrobiotic on the 1st and 3rd Tuesdays, Bagels on the 2nd and 4th Tuesdays, and Vietnam on Wednesdays.